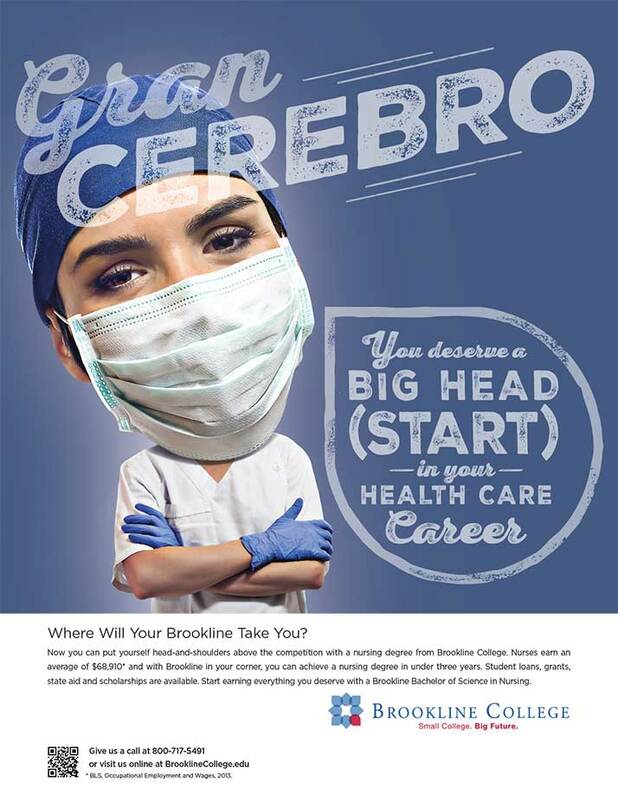 To stand out in the crowded marketplace for Latino students, our bi-lingual “Big Head” campaign for Brookline College promoted giving students “a Big Head Start” in their healthcare career. 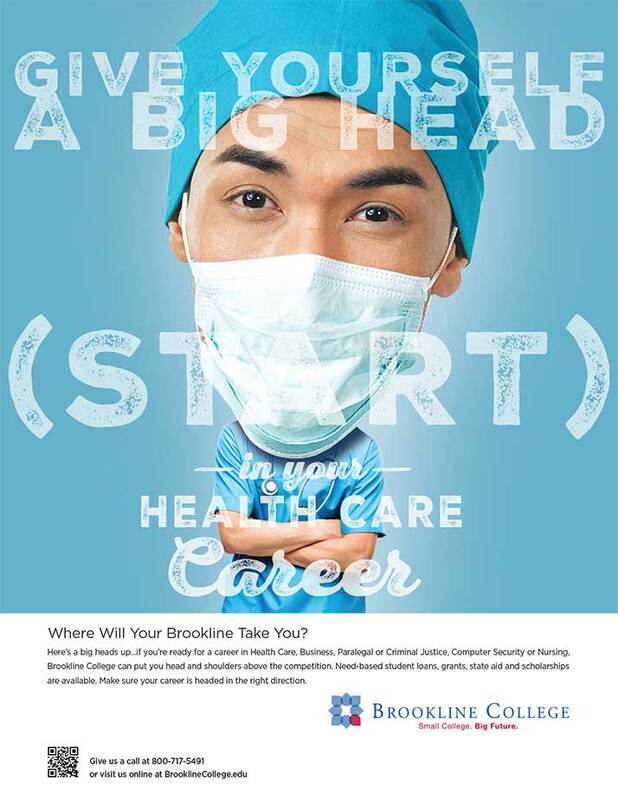 According to Clear Channel, the campaign generated the highest click-through/engagement of any campaign in the last 24 months. 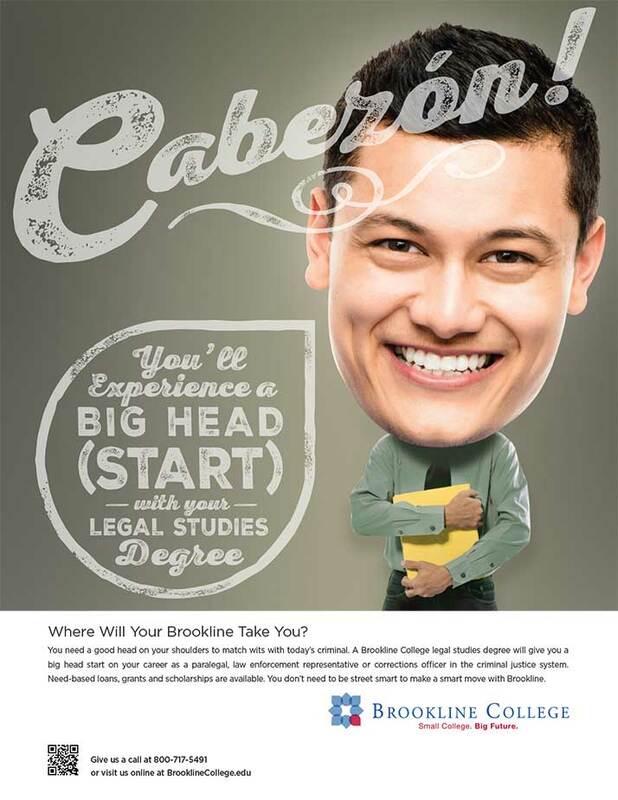 research, analytics, qualitative/quantitative research, traditional & digital marketing, copywriting, lead generation, branding, strategic business thinking, banner and online, art direction, creative concepting.